The Infiniti QX80 was birthed into the world back in 2004 as the QX56. It went through a generational change in 2010 and in 2014 it went through a mid-cycle overhaul and received the QX80 name to go with Infiniti’s new naming structure. Even with the facelift taking place just a few years ago, the QX80 is rather dated for such an overpopulated segment. We were hoping to see a new model for 2018, but instead, Infiniti has been busy working on the QX80 Monograph – a design study that basically displays how the QX80 could evolve in the future. For now, there’s only one image to go by, and it does have an evolutional look to it, but it’s also just as boxy so it’s not quite as modern as some would expect. As a design study, it’s quite possible that this is the direction that Infiniti wants to go with the next-gen model. But, the problem is that it’s not really all that different from the current model. 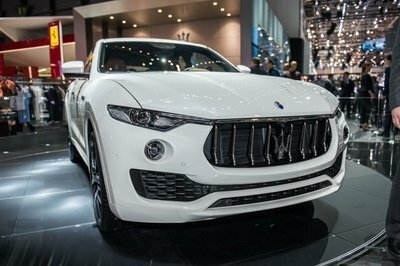 Sure, it’s got those fancy and futuristic LED headlights and a new nose that sits a bit taller to go with a new front fascia design, but that’s about it. 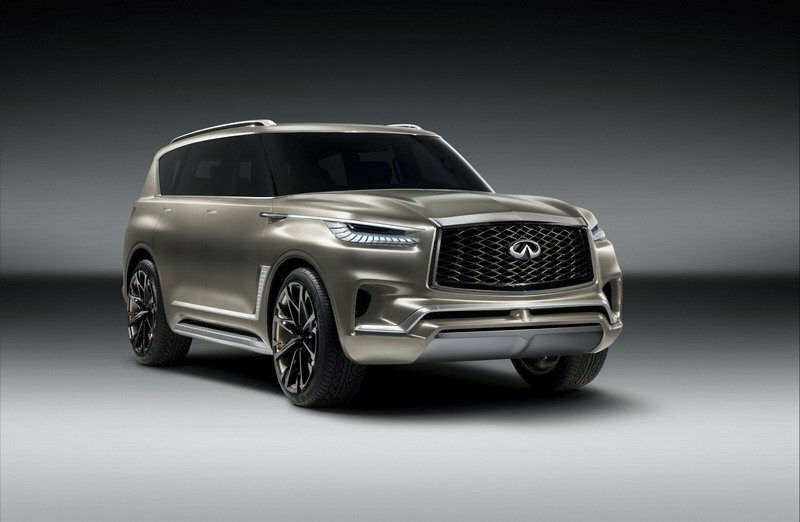 To be quite honest, I doubt Infiniti is going to get a good reaction from this concept as it’s just too boxy for the segment that it competes in, but then again, the QX80 has been known as the model that outsells the rest of Infiniti’s SUVs, so anything is possible. With that said, let’s dive on in a take a closer look at the QX80 Monograph. So, the most obvious thing to point out is that the Monograph has the same general silhouette as the current QX80. It’s boxier than hell and has probably the flattest roof you can find in the segment. The greenhouse is just a tad thinner than the lower portion of the body to give it the same dominate waistline as the current model. 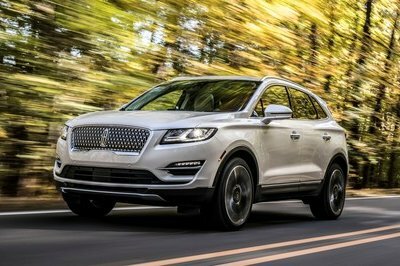 The biggest thing to note up top is that the rear quarter class comes to a sharper point much higher than on the current model, and the windshield blends seamlessly with the front door glass, eliminating the A-pillars from view from the outside. It’s a clean look, so no complaints here. The Monograph has the same general styling on the sides, with the wheel arches flared out slightly for extra character. Unlike the production model, however, the lip around the wheel wells has a crimped look to it instead of the bubbly look. A new insert resides just behind the front wheel well and could serve as a small fender vent with the lower half extending across the bottom of the door. The side steps on the monograph are integrated into the body itself instead of looking like they are bolted on at each corner. Again, it’s a much cleaner look. The side view mirrors have been replaced by camera units. These cameras have been showing up a lot on concept cars lately, so it’s not surprising to see them here. They were just legalized in certain parts of the Asian market, so they will become commonplace here in the U.S. at some point as well. 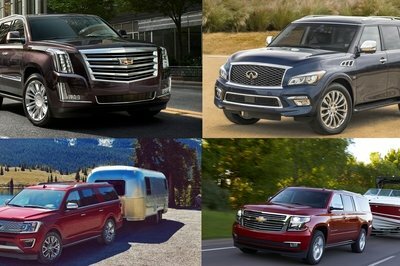 By the time Infiniti finally debuts a new QX80, they just might carry over to the next-gen production model. 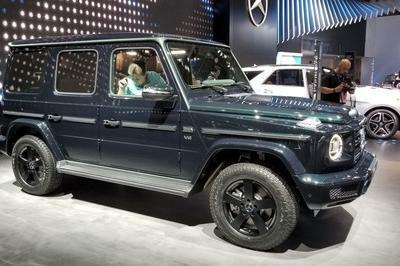 The biggest thing to note up top is that the rear quarter class comes to a sharper point much higher than on the current model, and the windshield blends seamlessly with the front door glass, eliminating the A-pillars from view from the outside. Up front, things get a little more interesting. The hood appears to be nearly identical to that of the current model, but it does have a more dominant body line right in the middle. The fenders bulge out more and sit higher, thanks to the much smaller, LED headlights. 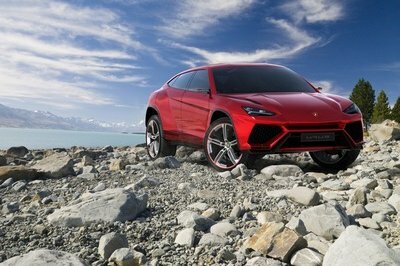 Similar-looking headlights have been used on other concepts but never make it into production, so don’t expect to see them on a production model anytime soon. The grill is larger, has flatted edges, and most likely previews Infiniti’s next grill design. It’s not bad really and does look more in place on such a box model. Down below, the air dam has been replaced by two vents that you could probably call nostrils, while the center area of the lower fascia looks to be reinforced with a skid plate of sorts. Finally, a vent in each corner as a bit of character to the front end, and looks like they may actually be purposeful. Surely, they would be blocked off on a production model, but it’s a nice touch. If I had to guess, I’d say about 30-percent of the styling you see here may find its way onto the next QX80, but I wouldn’t hold my breath for those LED headlights, the functional corner vents, or the side view cameras. The side view cameras will come eventually, but probably not until at least a few years have passed. What do you think about the Monograph? Are you fond of the overall boxy design, or do you think that Infiniti should change things up a bit with the next-gen model? Let us know in the comments section below. "The QX80 Monograph provides the opportunity to reimagine INFINITI’s signature design DNA on a totally different scale. We sculpted our body pure, straight and horizontal, the muscularity both brute and sensual; part Rodin’s Thinker, part Michelangelo. INFINITI ’carrozzeria’ used svelte satin copper skin, set off by an ultra-powerful double arch grille with abstract structural mesh, distinctive and focused human eye signature headlamp, and iconic fender vent. Our designers continue to impress by finding new avenues for INFINITI artistry." Unmistakable INFINITI signature design elements are taken from the company’s latest concept and production vehicles. QX80 Monograph features the latest incarnation of INFINITI’s hallmark "human-eye" headlamps, raised high up in the front of the car, as well as slimmer, sharper rear combination lamps. The unique piano key design of the head- and tail-lamps enables individual LED elements to light up independently, providing an artistic application of the latest adaptive lighting technology. "Earlier INFINITI show cars have started conversations with our customers, which gives us the chance to talk about the brand’s future direction. We have listened to our customers to discover their expectations for a large SUV from INFINITI in 2017 and beyond. The QX80 Monograph illustrates how INFINITI’s ’powerful elegance’ design language could be used to develop our luxury SUVs in future." "The QX80 Monograph is an exploration of how we plan to take a step forward in the large SUV segment. This is an important initiative for INFINITI, as the QX80 is popular with buyers in a number of markets – particularly in North America and the Middle East." The QX80 Monograph is the first model from the brand to bear the "Monograph" nomenclature. Monograph studies explore ways INFINITI can develop specific elements of its cars.